On April 8, 1935, Congress approved the Emergency Relief Appropriation Act of 1935, the work relief bill that funded the Works Progress Administration (WPA). 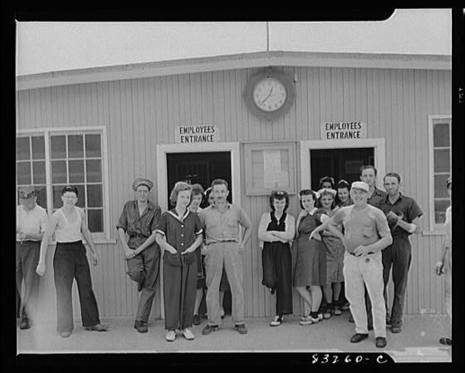 Created by President Franklin Roosevelt to relieve the economic hardship of the Great Depression, this national works program (renamed the Work Projects Administration beginning in 1939) employed more than 8.5 million people on 1.4 million public projects before it was disbanded in 1943. The WPA employed skilled and unskilled workers in a great variety of work projects—many of which were public works projects such as creating parks, and building roads and bridges, and schools and other public structures. The Emergency Relief Appropriation Act of 1935 was passed on April 8 during the "Second Hundred Days" as a part of Franklin Delano Roosevelt's New Deal. It was a "large-scale public works program for the jobless" which included the Works Progress Administration. It allocated $5 billion for this purpose. The bill included funds for the Federal Arts Project, the Federal Writer Project, and the Federal Theater Project.